Martin is the chair of the nurses working group of the European Association for Haemophilia and Allied Disorders (EAHAD). 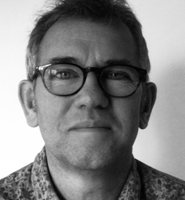 Martin started working with people living haemophilia in the late 1980s becoming a haemophilia clinical nurse specialist then a lecturer practitioner based in the Kent Haemophilia centre. Martin has been involved in a number of projects including developing and running a university accredited haemophilia course, and the UK haemophilia nurse competency framework. His research interests are centred upon psychosocial issues, care delivery and advanced haemophilia practice and he is currently undertaking a multicentre clinical trial exploring interventions to improve treatment concordance, which forms part of his doctoral studies.